Our production facilities are open on all 7 days a week. Mon. :- Fri: 10 a.m.- 7 p.m. Sat. : 11 a.m.- 5 p.m.
Alternatively, you can contact us via sales@teetalkies.com for any sales queries and care@teetalkies.com for any support or design related queries. If you are ordering anything less than 20 T-Shirts, we will print your orders with digital printing and that doesn’t count the number of colours in the design at all. It will be the same price from 1 to 20 pieces of the garment with custom printing. if the number of pieces increase – price will decrease. Would you be able to ship my order to multiple recipients? We are used to dispatching various small parcels every day. So its no difficult task for us. You can fill the data in an excel sheet and share it with us, we can deliver your consignment individually to all pin codes in India and to 125 other countries as well. Delivery timeline mostly depends upon the number of pieces you order and the printing method you select. If you need it by tomorrow, you can give us a call, discuss and order. Normally all online orders will be delivered to your address within 4-7 days depends upon the nature of the job and the delivery address. However, you can discuss with us before placing any urgent orders. 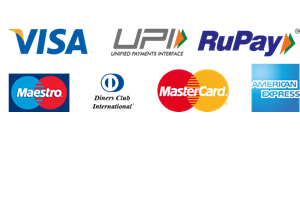 We are very flexible in delivering rush orders to more than 20,000 pin codes in India. Would i be able to select different styles/sizes of garments in the same order? Yes, obviously! You can choose as many styles you want and as many sizes you want. If there is any design alignment issue, our design team will review your design and correct the same with your approval. Would i be able to order a blank Sample? Yes, you can go to the design studio and check out without any design. You will not be charged for any printing but only for the T-Shirt with free shipping. No, you can order a single piece of any product available on our website with your custom design. We use the most innovative digital technologies to print on various products. I want to print on a sleeve. is that possible? We print on the sleeve with a single colour print and with MOQ of 20 pieces only. Since we have such a constraint, we did not include this feature in our design studio. You can contact our sales team for your sleeve printing requirements for the bulk order. Would i be able to print Trademarked Materials? A strict No!. Trademarked material means it is a blood and sweat work of a designer or a team or a brand. As a printing company, we are very sensitive to design ownership. We never encourage or involve ourselves with printing copyrighted or trademarked material without sufficient licenses. If you have any doubts regarding the same, you can ask our sales or design team for the confirmation before submitting files for printing. How might i add custom names and numbers to my design? Adding names and numbers to your design is basic functionality in our designs studio. There is an option in the left side menu which enables you to upload names and numbers for your whole team easily. Would i be able to upload my own artwork into the design studio? Our design studio is equipped with multiple features. You can upload your own designs, change its size and placements as well. You can also use the thousands of clipart images available at free of cost under various categories. You can explore various options available at your left side menu to make your design awesome. Tee Talkies is selling custom printed products, which means this is specially made for you. However, if there are any manufacturing or printing defects in the product received, you can claim a full refund or replacement within 7 days of receiving the product. Get in touch with care@teetalkies.com to solve any issues.